Ryan Hamley (1873) wins clear 1st place with a perfect 4-0 score! Round 4 Board 1: Ryan Hamley (1873) vs Makaio Krienke (2150) in the final round of the May Tornado. 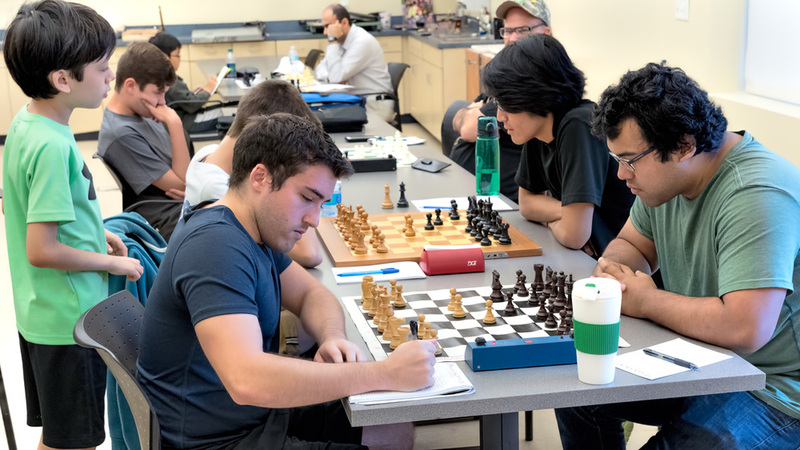 We had an impressive finish to CFCC's first Tornado of the summer, with Ryan Hamley (1873) orchestrating a 277-point upset win against Makaio Krienke (2150) to take clear 1st place with a 4-0 score. 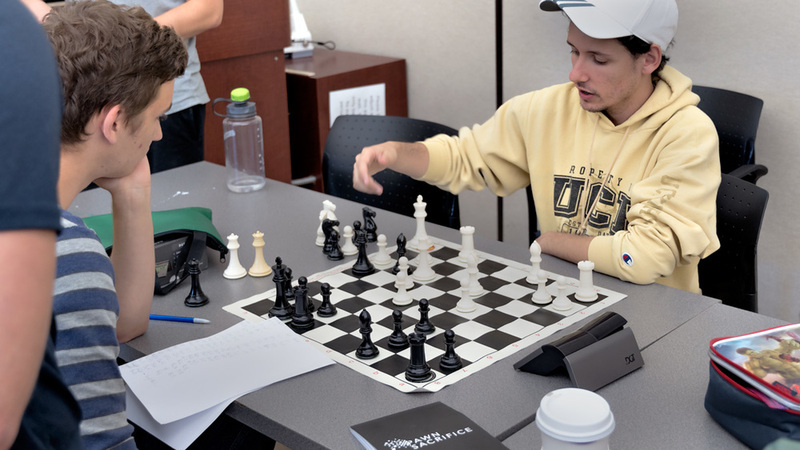 The event was held on-campus at the University of Central Florida, inside the Teaching Academy building, with a total of 19 players. 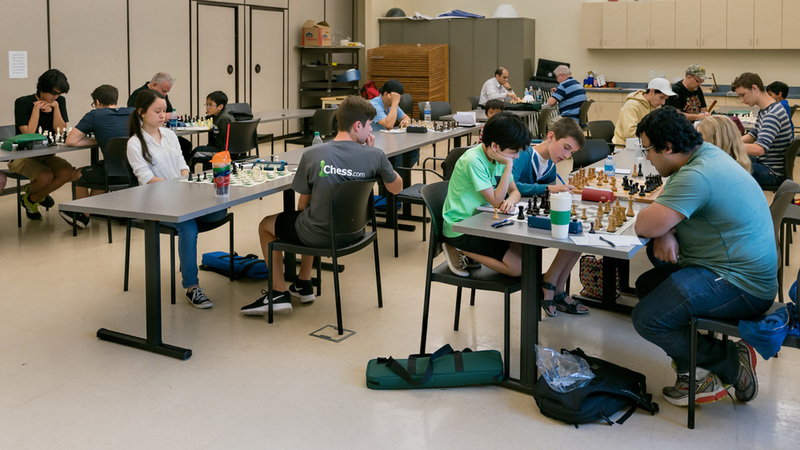 CFCC would like to thank the UCF Chess Club for inviting us to hold our Tornadoes at the Teaching Academy, which is a modern display of architecture with its geometric glass and red brick, it was truly enjoyable to hold our first Tornado of 2016 in this facility. Winners of CFCC's 2016 May Tornado, (L-R): Arnold Banner (1733, tied for 3rd), Ryan Hamley (1873, 1st place), Theodore Slade (2061, 2nd place) & Zoe Zelner (1708, tied for 3rd)! Round 3 Board 2: Theodore Slade (2061) (L) vs Paul Leggett (1834) (R); Slade went on to finish the tournament in 2nd place with 3.5 points. 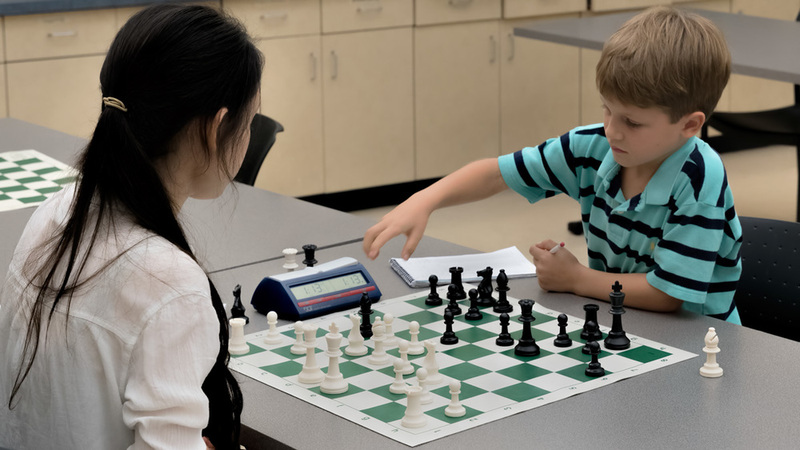 Round 3: Zoe Zelner (1708) (L) vs Christopher Budd (1339) (R); with 3 points, Zoe earned a three-way tie for 3rd Place! Charles Bell (1285) (L) vs Tom Van Den Abell (1051) (R) in the final round of the tournament.